With 90 percent of customers happy with our level of service, and 96 percent likely to recommend us to others, you might wonder whether some kind of magic is at work behind the scenes at Call2Recycle. 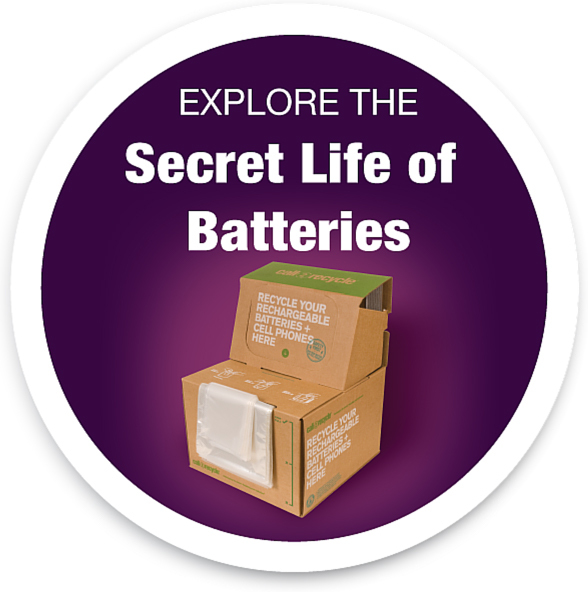 Contrary to suspicions though, we do not rely upon magic to ensure our collection sites are always ready to receive batteries. That said, one of the most common enquiries still received regularly by our customer service team is, “How do I order a replacement box now that I’ve sent my full one back?” For the vast majority of collection sites, the answer is always the same: you don’t have to. Alas, the reason why you don’t have to order a replacement box isn’t quite as exciting as magic. The short answer is that when it comes to magically providing the people at our collection sites with fresh, empty boxes, we selected the right business partner for the job: Positive Fulfillment Services Ltd.
Call2Recycle has been working with Positive Fulfillment, based in Toronto, Ontario, since March 2001. The organization sits on the nexus of highways 407 and 427 just a stone’s throw from Pearson International Airport, situated perfectly to make the rest of the country accessible for the customer logistics it hosts. Fulfillment Service Providers such as Positive, or ‘fulfillment houses’ as they used to be known, are essentially an outsourced storage and logistics operation. Any organization intending to sell a product that needs to be shipped can enter the market without having its own warehousing or fleet of delivery vehicles, for example, by outsourcing that entire business function. It may have been destiny that Call2Recycle and Positive would end up working together. Positive got its start in the fulfillment business back in 1997 by catering to the needs of pharmaceutical manufacturers. Just storing pharmaceuticals in Canada demands a Drug Establishment License, a Natural Health Products Directorate, a Class “A” Precursor License, and a Medical Devices License as the minimum. Suffice to say, there are certain businesses that require ongoing vigilance when it comes to new legislation, regulations, and laws. “Transporting batteries is no different,” explains Joe Zenobio, executive director, Call2Recycle Canada, Inc. “We’ve always taken great pride in our ability to tackle complex legal environments, and because of that we can still say today that our program is compliant with all relevant legislation, whether local, national, or international.” So when Call2Recycle sought partners to help bring all-battery recycling to Canada, Positive was a natural choice. Fast-forward to 2014, and the IT operations of Call2Recycle and Positive are inexorably linked, as are the destinies of these two Ontario employers. Together, we are able to assess the rate at which any collection site fills their boxes and needs new ones. Brand new sites tend to be given extra boxes to ensure they cannot run out, but more established sites are easier to predict. Now, the system is triggered whenever a collection site dispatches a full box – sometimes beforehand. A replacement, empty box is already on its way to the collection site via automated process even before the person there has picked up the phone. With this automatic safety factor built into logistics, the Call2Recycle team can concentrate on seasonal variations, or instances when collaborative marketing efforts – such as the Winnipeg Public Library initiative in Q4 2013 – are needed to help collect batteries. While we cannot claim that our Call2Recycle boxes you see in retail stores, libraries, fire stations or private businesses are magic, we are happy that the process that gets them from Toronto to the rest of Canada feels like magic to our customers. That’s “positive” enough for us.